The Chinese Railway Department (MOR) has qualified LYC for mass production of railway speed-upgrading bearings for heavy van. In order to keep pace with the development of economy, China Railway Department decided to substitute the former railway speed-upgrading equipments from July 2005. 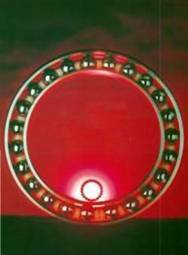 LYC has begun to develop the new generation speed-upgrading bearings since they knew this information in 2003. In the course of development, LYC invested so much to improve their production equipment and working environment and they provided the Railway Department with sample products for their performance inspection. Finally in this April, they got the production qualification.